NEW – As seen at SHOT SHOW 2018! Available in similar lengths and styles to our original open-structure handguards (7″, 9″, 12″, 15″ – BLADE & EDGE models). The Carbon Black rail matches our existing high standard for handguard strength and heat rejection, and is capped with hard anodized aluminum rings for optimal impact resistance. It mounts on our standard ultralight barrel nut, and includes multiple M-LOK mounting slots (not pictured), to accommodate any accessory. 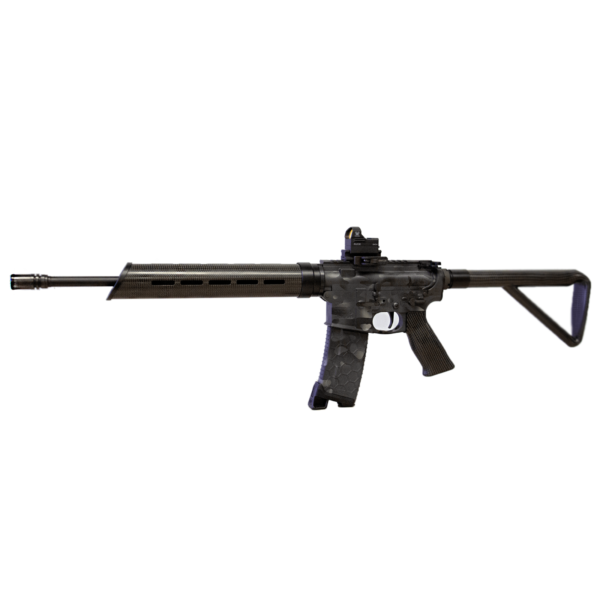 These carbon fiber parts are conditioned for stability even during barrel heat cycling, so front iron-sights and other aiming accessories remain accurate during any rate of fire. The 12″ model (pictured) weighs only 6.6 oz (INCLUDING barrel nut weight). 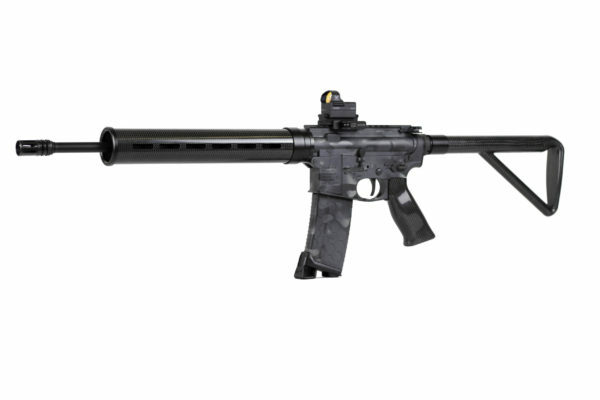 These handguards are the second lightest rails on the market – second only to Brigand’s original open-structure rails! 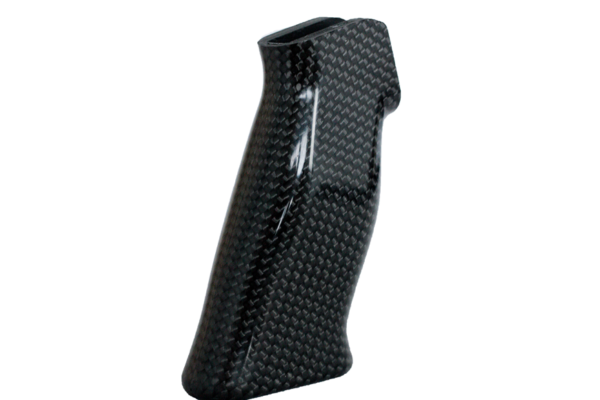 NEW Carbon Fiber Handguards – As seen at SHOT SHOW 2018! Available in similar lengths and styles to our original open-structure handguards (7″, 9″, 12″, 15″ – BLADE & EDGE models). 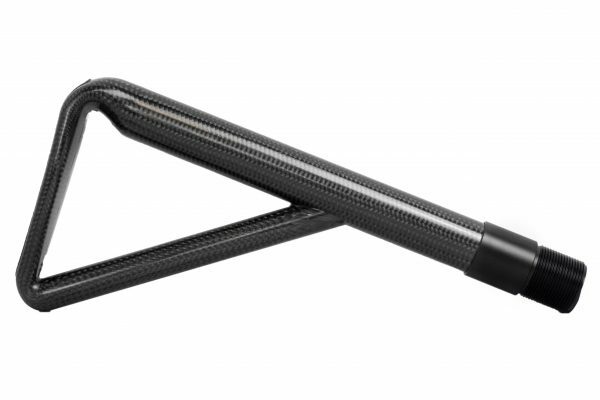 The Carbon Black rail matches our existing high standard for handguard strength and heat rejection, and is capped with hard anodized aluminum rings for optimal impact resistance. It mounts on our standard ultralight barrel nut, and includes multiple M-LOK mounting slots (not pictured), to accommodate any accessory. 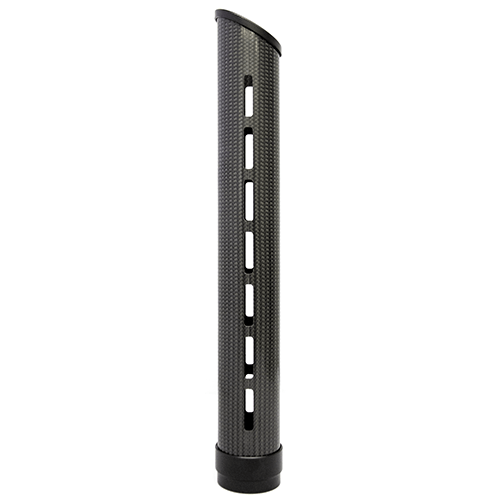 These carbon fiber parts are conditioned for stability during barrel heat cycling, so front iron-sights and other aiming accessories remain accurate during any rate of fire. The 12″ model (pictured) weighs only 7 oz (INCLUDING barrel nut weight). 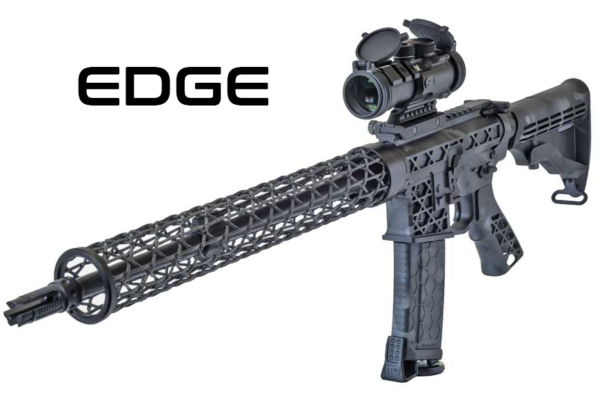 These handguards are the second lightest rails on the market – second only to Brigand’s original open-structure rails! 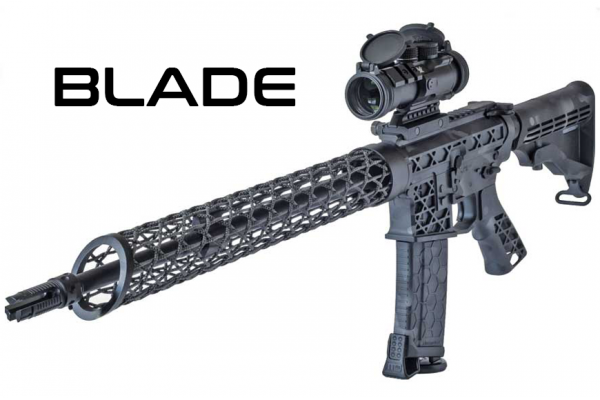 Been running the Carbon Black BLADE on my 3 gun build for a couple months now – this rail is truly badass! And can’t beat the price either.